As I said in my previous articles, creating a high content-theme based website is the best thing to start your own website. However, there are some other ways to increase your website’s traffic. Today, we will be discussing one, “Linking”. Before digging into the subject, I want to make it clear that building a link program is just a small part of the SE war of trillions of websites. It is just a fraction of the things that you still have to learn. But it will sure help you, your visitor, and the search engines if you will have an excellent link program. Inbound links. This will increase your traffic. Just a common sense, let us say for example another related website linked to your website. When a visitor to this website saw your link and clicked on it, then you just have earned a visitor. Not only that, when a website or a blog is linked to you, the search engine will recognize it as a form of a vote for your blog. This means that someone is recommending you. This is why building an affiliate program is one of the best ways to create a link program. Your affiliates will be linking to your blog if you have affiliate programs. Not all websites have that many incoming links. This is a reality that we must recognize and overcome. There are some blogs however managed to create a huge link program. It is by giving away free valuable services in exchange of links. Very wise move, isn’t it? But the thing is, you can have credibility if you have a valuable content in your blog. If other bloggers saw your blog and believe that it will be valuable to them, then you might gain some incoming links too. What about the outgoing links? Outgoing links are links that you placed in your blog going to other blog. They are not completely bad. There is no such thing as a perfect blog where you can get everything you need. Outgoing links will help your visitor to explore for more and look for the information they need. It will also help you create an impression to your visitors that you are connected to other valuable blogs. A care should be taken however in putting too much outgoing links. Remember that you want your visitor to stay in your site and read for more. You want them to see everything in your site and later, turn them to be your customer. 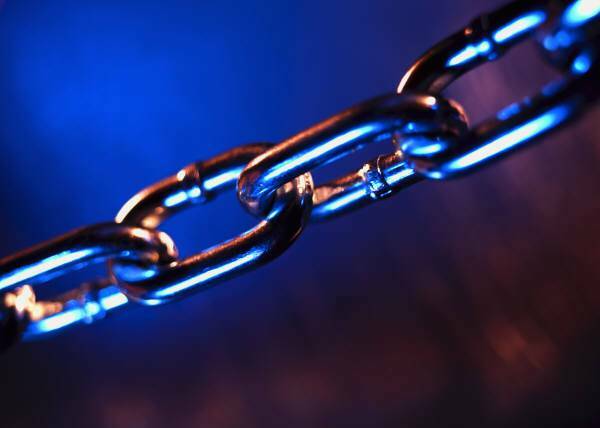 Furthermore, only choose links that are relevant to your blog. Putting links that are totally irrelevant to your theme and keywords can definitely hurt your blog ranking. You can usually find these irrelevant links on spam comments. So try to eliminate them and delete them. I suggest that you use set your blogger blogspot blog to moderate all the comments. Building a link program is very interesting. The best way to start is to have an exchange links offer. Very few blogs offer an exchange link with blogs that just have started. As for my experience I was rejected several times from websites that I visited and asked them kindly if I can link them to my website and in return, they will also link me. Their reply is very simple, “Sorry, we are not looking for partners as of now. You are free however to link us in.” Why go to these websites sacrificing your dignity as a blog owner, as a problogger? Build your credibility first. Believe me, they will just come to you and link to you without you telling them to link to them. Internal links are links that you made going to your other articles within the blog. This is very helpful in decreasing the bounce rate of your blog. It is also very helpful in a way that you are helping your pages rank higher with its relevancy. It gives value to your blog, and it gives your customer the benefit of gaining more knowledge with your topic. Most successful blogs that I have seen do this. They just have literally thousands of subscribers with matching lower bounce rate. There are several ways to gain more traffic. Today, I will be teaching you about submitting articles. I strongly suggest that you need to be familiar with these free features on the net. This can be a high way for your traffic. 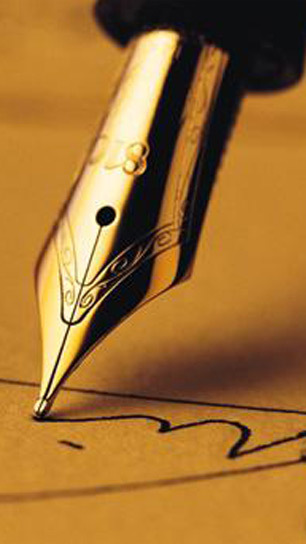 Let us say that you have a long article about a particular topic. Divide into sub topics in order to create more articles. Add some more words. Make it about 500-600 words per sub articles. It is not much to add for this highly profitable strategy for a beginner like you. Then visit some of best article directories on the net. I suggest that you begin with Ezine Articles where you found this article. 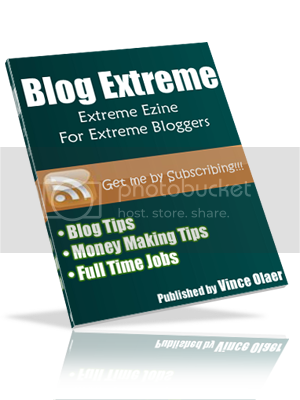 Article directories like “Ezine Articles” gather content from thousands of people around the world. They will not pay you anything but they will leave your article intact including your resource box where your email address, blog site url, and web site url is written. And this is where you get your traffic. When there is someone who will republish your article in their blog or in their websites, they have to include your resource box. Once they do this, it also gives your articles more exposures to the net. And more exposures means high probability of getting clicks, and more clicks means more traffic, and more traffic means higher conversion rate for income. Not only that, you will also gain the benefit of one way traffic links. One way incoming links are very important for any blog or website. It is included in your page rankings. Again, income is what you get if your visitors turned out to be customers. To make more customers, you will have to present your product in a way that is compelling and trust building. Making great content and truths about your products and exposing it to the whole world will do that for you. This is where article submission enters. Article submission will make you more credible and reliable. In addition to exposure, you will also gain friends in submitting articles. If people will love your articles, some will write you back or ask you something about it. And correspondence can build friendship. The more friends you have, the higher your credibility will be. And because you have credibility, the more your chances to be recommended to others. Submitting content to article directories are very profitable. It gives a lot of advantage. You just have to be patient. Today's post is all about creating a high-content theme based blog. The question now is, "how in the world can I build a high content-theme based website? Maybe you are beginning to think about the tools that you are going to use now. Well, not yet. Don’t think of them as for now. We are still in the first step. I will be assisting you all through out the way as we go along with this blog series. For now, let’s practice using a time-efficient and cost-efficient method. We will only use what is free on the net. By the way, you can find money with free offerings on the net. It will not be much, but there is money in it. There are lots of websites that offers free blog account. As you can see, I am using “Blogger”. You can also use “Word Press”. The biggest disadvantage of Wordpress.com is the limitation to monetize. Some writers prefer Word Press for its diversity of applications. However, I believe Blogger is more “monetizable”. So for starter, we will use blogger. Now let's go create a high-content theme based blog. Start thinking about your hobbies, or about your jobs, or anything that you have been doing ever since and that you love to do. It will be easier for you to write about something that you are an expert on. And these things can be your job, hobbies, and other recreational activities. It can be about sports, fishing, golfing, being an accountant, being a manager etc. I believe that each person has its own interest. Right? As for me, I like blogging and made it as my sideline profession, so I created this blog. Now you are beginning to smile. Yes, why not turn your expertise into a profitable blogging? Cling cling cling!!! See, I guess you are now thinking that you know lots of things about your hobby. Why not start listing down all those things that you can think of about your expertise? Now you have a theme to start with. Focus on that idea. If it’s about basketball, talk about shooting, dribbling, strategy, passing, etc. Don’t talk about putting bait on the hook, it’s for fishing not basketball. You have now a list of topics and ideas for your blog. The next step is to consult the search engines. There are lots of tools that you can use for free in looking for high targeted words in the net. The best that I can recommend is the Search It . It’s a one stop highly useful program that can help you in building website, so as for your blog It’s a user-friendly program, so you will not have a hard time studying on how to use it. Using this tools, the first thing that we will do is to generate keywords for your chosen theme. The search engines look at the keywords that you have on your page so we must hit the right keywords. Use the Search It. In the first tab, go to “Brainstorming”, then on the second tab, go to “Google Adwords”. On the third tab, type in your main theme for your blog. Since we started with “Basketball”, type basketball and follow further instructions to see the results. Take note or list the keywords generated. Your content will revolve around those keywords. Now you have the theme and you have keywords. It will be easier for you now to write your content. Make your content revolve around the keywords you searched without taking out the main theme of your blog. Be sure that your content makes sense so that your visitors will find it helpful. Blog Templates like Multiply, Blogger and Wordpress Templates. These are just some. But there could be hundreds out there. Remember, once you create a blog, part of what you creating is a community. You will be gathering people virtually who have the same interest with you. A high content-theme based blog can give lots of benefits. First, it can give you a high ranking with SE’s. Granted that you applied all the legal techniques in optimizing each page, as time goes by, your blog is literally gathers tons of keywords, related links and comments to which search engines highly favors. Your content will really make a difference in your ranking. You will learn all other ways in gaining a rank later. Let’s focus first on your content. Your content is your own gold mine. Having a good content will compel your visitors to stay longer, participate in the discussion of your post. Better to enrich your page with high content theme words. Secondly, a high content – theme based blog can give you reputation and integrity. Well, obviously your visitor will love you because you deliver them the information that they need. And there could be a high probability that they will be coming back for your friendly website. You can even ask some of these visitors for a positive feedback for your website. Why not if they really love your site? Third, a high content –theme based blog can become itself an entertaining website for your visitors. If your visitors see lots of information on your website, they will love it. Not only that they will love it, they will be coming back for it, and much more, they will be recommending it. And this means… TRAFFIC!!! Your website shouldn’t be a blog if it is without traffic. Traffic is the main gateway for your income in the net. Without traffic, there will be no income, no conversion rates. Just like economics, “traffic is directly proportional with the conversion rates.” The higher the conversion rate, the higher is your income. Fourth, not only your visitor will love you, search engines will love you as well. As I said the higher the information you give, the higher the possibility that you will have a higher ranking. After all, search engines were made to serve that purpose, to give you valuable information. So, every body is a winner when you have a high content –theme based blog. To narrow what I said, the first step in building a website is to think of a high content-theme based blog. At the beginning of your venture in blogging, always focus on your content rather than the traffic. All the others will come next after you decide on what kind of theme or content you are going to use for your web site. Your high content-theme based website will make you a winner, will make your visitor a winner, and will make search engines a winner. People use the web mainly for the search of information. Of course there are some who use it for gaming and recreation but still, most of them still looks for information that are related with the games they are playing. And this is the best way to start your web site, building a highly informative, high content-theme based website. A high content-based web site is always the winner in the SE ranking wars. Whoever provides the most of the information searched through the net, obviously gets, the most of the traffic. The more traffic, the more conversion rates your website can derive. Websites doesn’t need to be too fancy with graphics. Yes, it can add to its beauty, but learn that people don’t look for fine graphics when they come to your website unless your website is all about graphics. They look for information. If your website gives the information they need especially in your home page, then they will surely explore your website. Believe me. I became a student myself and that’s how I use the net and the two giant search engines, Google and Yahoo. Try to think of this, let’s say you have a website that talks about golfing in your home page. But some of your pages talks about fishing and basketball? Isn’t it out of topic? Yes it is… And because of that, there is a tendency that people will not find you in the net even if they will be using the search engine. The thing is, there are probably hundreds, if not thousands of other websites that talks about golfing. And why do you think that the search engine gives you a high ranking for your site where only half of it talks about golf? Search engines works with algorithms. There are lots of factors how they rank websites. But this I can assure you, one of their main categories in ranking is the content of the website. They’ll look at your website if it contains a lot of information about a certain topic. Let’s take an example. I am looking for information about making a website. I’ll then go to Google or Yahoo and then type in their search box, “making a website”, or “how to make a web site”. The search engine then will try to rank the most related information to my search. Ordinary people like me will only look for the top 20 - or maybe can extend to 30 if information is badly needed – and will despise all the other websites with low ranking and consider them as irrelevant to the search and then enter another keyword for another search. Well, actually there are lots of keys for success. But we will only be focusing on the main key. It’s like opening a big cabinet with lots of drawers and locks in it. Let’s talk about the key that will open the cabinet. We said earlier that a website is a ghost unless there’s no traffic unless there are people who visit your website, your website is useless. And the best thing that can get traffic to your site is CONTENT, putting valuable information in your site that other people want to have. Everyone that visits the net look for information. CONTENT is the most important thing that your website should have. Content gives you traffic for your site. We mentioned earlier that people look for information on the net. If you have a valuable content in your website and the search engines recognized the value of that information, then you’ll have that traffic. There are lots of factors that affects traffic by the way, it’s just the main factor is your content. Well be talking about other factors later. Let’s concentrate on CONTENT. 1. Focus on your theme. You need to have a focused theme for your website. If your website is about fishing, then talk about fishing. If your website is all about golfing, then talk all about golf. This website is all about website making, that’s why I talk about creating your own website. In starting your own website, I suggest that you start writing about something that you really love to do. Something that you can consider yourself to be an expert of. It can be your hobby, profession, work, or anything that you have a sufficient knowledge that you can share. It’s always better to write on something that you really love and it will be much easier for you to do it. You don’t need to be a professional writer. You just need the basic knowledge as of the 8th grade student. 2. Be friendly both to your site visitors, and to the search engines. Here you will learn the importance of being focused on your theme. I strongly suggest that you create a website not only a win-win situation but a win-win-win situation. Meaning, your visitor will be a winner when he visits your website, the search engines will also be a winner, and you should also be a winner. If your website or blog can provide the information that your visitor needs, your visitor will be satisfied and he will most probably come back to your website because he is learning from it. Your main goal in creating a website should be helping other people rather than doing business. Having this as your main goal will guide you to have a better reputation over the net. About the search engines, there are people who used to do dirty tricks with the search engines. But don’t be like them. If you are friendly with search engines, they will also love you. Just a warning, don’t ever try to make dirty tricks with the SE’s. It will do you more harm than good, avoid getting banned. Because you have a great content, there’s no reason not to be a web winner. Your content will give your site traffic. The more traffic you have a better reputation, a better sales you can get. More people will recommend your website, and more people will love it. 3. Avoid selling but PRESELL. There are tons of internet marketers that fell on this mistake, not including the spammers. In my research with the net, believe me, there are a big TURN-OFF with internet marketers that sales pitch. Don’t be a sales pitch, but become a preseller. What is preselling by the way? To have its simplest definition, preselling is making your visitor wants to click more, rather than pushing your visitor to click more. 4. Stick With the Best People. When I teach people on how to analyze what they are reading, I teach them to ask the right questions. Right questions will lead you to right answers. Well, for newbies I suggest that you go with the right people; right people will always lead you on the right track. Talking about the web site making is about having the right tools and the right people who will assist you in your success for website making in reasonable price. I know that you already spent a lot of time digging on the net of who ever can provide you with that success. Good news, you’ve come to the right site. Stick with this site and gain high informative materials and tools that will lead you to success.